WASHINGTONThe Rev. 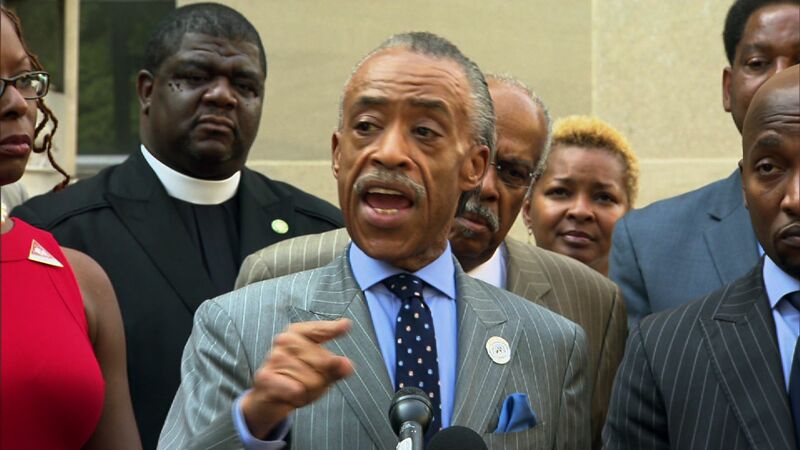 Al Sharpton announced Tuesday that he will lead a national "Justice for Trayvon" day in 100 cities this weekend to press for federal civil rights charges against George Zimmerman. Zimmerman's acquittal over the weekend in the shooting death of unarmed teenager Trayvon Martin has touched off protests around the country. The Justice Department is investigating whether Zimmerman violated Martin's civil rights when he shot the 17-year-old during a February 2012 confrontation in Sanford, Fla. Zimmerman said he fired his gun in self-defense. The rallies and vigils will occur in front of federal court buildings at noon Saturday in cities including Los Angeles, Chicago, Philadelphia and New York. Sharpton admits there are possible legal hurdles, but says "there is also a blatant civil rights question of does Trayvon Martin and the Trayvon Martins of this country have the civil right to go home." Sharpton says vigils will be followed by a conference next week in Miami to develop a plan to address Florida's "stand-your-ground" law. The law gives people wide latitude to use deadly force if they fear death or bodily harm. A six-member jury acquitted Zimmerman of second-degree murder and manslaughter charges.